Binding : Violin Style / Back : Flame Maple, Hand Made Arched. Neck :Maple 5 Ply Set-neck. Scale :24.75inches / 22Frets / 14Fret joint. Bridge & Tailpiece :Ebony Bridge / Ebony Tailpiece / Ebony Pick guard. Nut & Saddle :Bone nut & Ebony Saddle. Control :Volume x 1 / Tone x 1 / End-pin Jack. 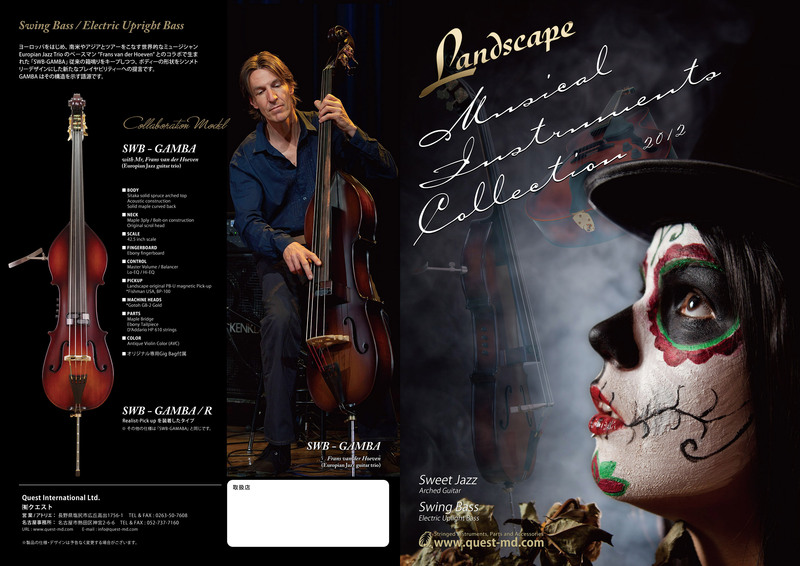 The concept of Landscape brand is “Making instruments with the nature of native beauty”. 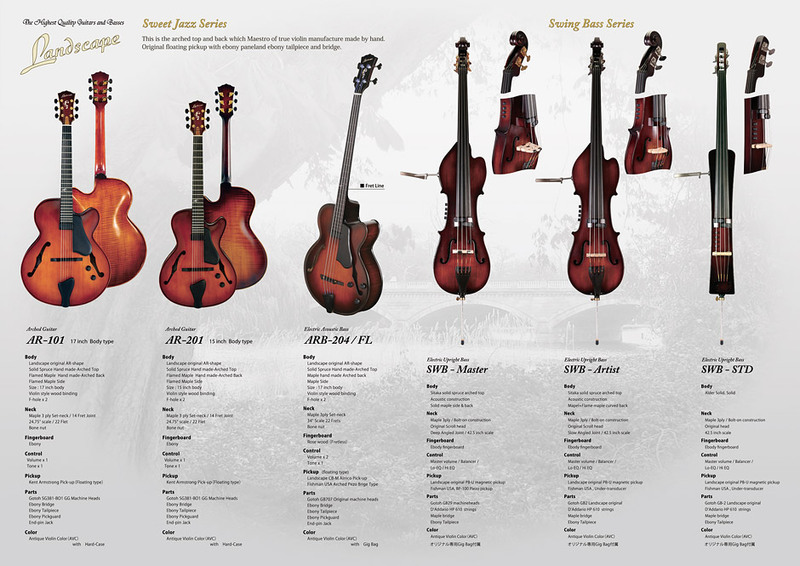 This basic idea is to produce instruments with crafting technique of former times and make the heartwarming sound it’s come from classic design of the violin and others. The production process is Violin it’s not using screws and soldering copper… it was the hardest attempt to produce Landscape models merging electrical parts and glittering coloring and natural resourced materials. But we could succeed to complete this blending without losing a beautiful harmony. We completely assemble parts and bodies in our altelier in addition to controlling and supporting the quality. This system helps too make our opportunity in meeting musicians and expanding Landscape appreciation in many musical market and studios.